Matt Goss, from 80's pop band BROS chatted to Stephen and Cate on Q Breakfast this morning. Goss spoke to the breakfast hosts about his earlier days as the lead singer of BROS and the band's upcoming reunion tour. 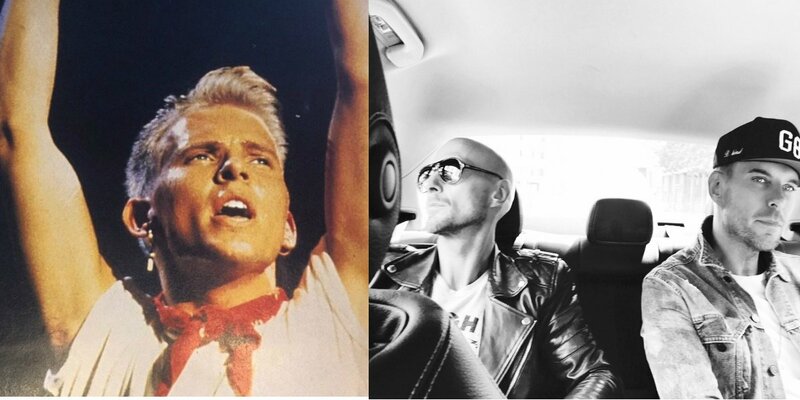 Then and now: Matt and Luke Goss. BROS have recently reformed (minus original member Craig Logan who quit after one album) for a UK tour this month. Twin brothers Matt & Luke Goss have not played together since 77,000 packed into Wembley Stadium on August 19th, 1989. The 80s heartthrobs will perform at the The O2 Arena, London on Saturday 19th and Sunday 20th August for 'the biggest reunion in pop'. This morning Cate finally got to speak to her teen idol after spending many years admiring the BROS band and took a trip down memory lane, reminiscing with Matt Goss about the 80's.